I had just returned to Los Angeles after a year of study in Israel. During my year in Israel I had begun training in karate and I was looking to continue my training during my summer break back home in Los Angeles, before heading off to college in New York. My friend Robert suggested, "Why don't you check out Steve's brother, Frank, he teaches some sort of martial art'. Nah, I said, I'm not looking to train with 'a friend's brother', I'm looking for something serious. "But he is serious", Robert insisted. OK, I would check it out. I found the store front with the sign that read "Dux Ninjitsu". I came in and filled out a new student form. It asked, "How did you hear about us? ", I checked the box that said "other" and wrote, "Studied with his brother in yeshiva in Israel". I went into the class, checked out all the cool ninja stuff on the wall, and joined the lesson. Frank was not there yet. Turns out over here he is called 'Shidoshi' which is ninja title and rank from Japan. During the class Shidoshi Frank walks in, standing about 6 foot five, tall and muscular, he looks straight at me and says, "You know my brother Steve? How is he doing?" After class he told me I could train for free as long as I wanted to. It was a great summer, I spent as much time at the dojo as I could. I wish I could have stayed and been tested but my plans to go off to college had been set. I will always remember that summer. The dojo became my second home. One day after class we were just sitting around, talking. Frank, Shidoshi, starts telling us about an offer from Hollywood to do a movie about his experiences in the Far East, something about some new actor. I recall saying "That's great Frank". I totally forgot about that conversation, until several years later at a Friday night dinner in Israel. Some boys had noticed my somewhat disfigured hand and figured I must be some karate master, they arranged for the family to invite me for dinner. During dinner one of them asks about my hands. I tell them I train in karate. The calluses came from doing push ups on wood at the Kyokushin Oyama dojo in New York. "Aha! I knew he was a karate expert" one of the boys said. They asked whom I had trained with and I mentioned "Frank Dux". The boys became very excited, "You trained with Frank Dux!" I said, "Come on, how could you have heard of him? You're not from the Valley!" They said "from the movie, the greatest martial arts movie of all time, "Blood Sport" ." I told them I had never heard of it. They were shocked, "You, a student of Frank Dux, never saw the film!". Suddenly a vague memory came to me, sitting on the dojo floor and Frank saying something about Hollywood, Hong Kong, a movie, some new actor. It all began to come back to me. That week I went out and bought the movie. It is, in my opinion, the best martial arts movie ever made. 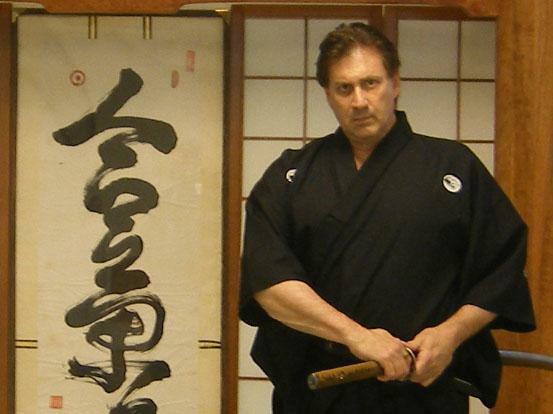 In terms of Frank Dux the martial arts legend and all his many and impressive accomplishments, there are many sites on the web where you could read about that, for me, he will always be the great guy, the great teacher and friend I met all those years ago in LA. He is still an inspiration to me, and through me to my students over the years. To me Frank Dux is the man I know personally, a great martial artist and a great friend, the rest does not matter. After many years the long awaited reunion finally took place. 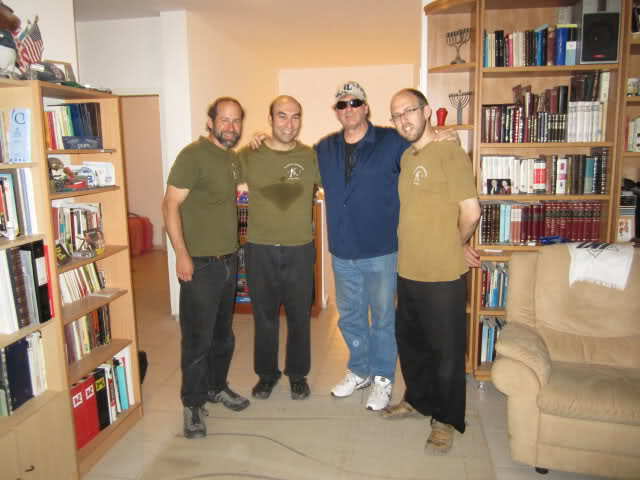 Shidoshi Frank Dux, one of my first martial arts instructors, came to Israel. Luck was on our side and he showed up just in name for Day Two of our Tour and Train Session. Shidoshi Frank stayed in my home as an honored guest and joined us for a week of training and touring. Teacher and student were reunited. We covered many aspects of Krav Maga and Shidoshi Frank immediately saw the practically of our training. After all these years it was wonderful to receive such an endorsement. We toured the Judean Desert, Masada and the Dead Sea. 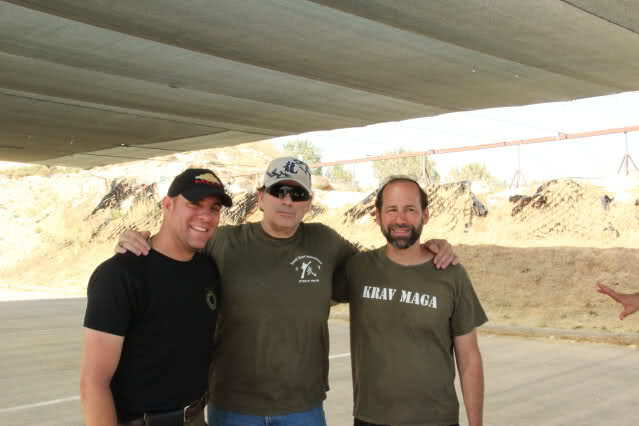 We spent a day at the Caliber 3 training camp where the Krav Maga and shooting instructors were overjoyed to welcome their childhood hero. Shidoshi was also able to learn from the Israeli experts and humbly thanked them for their teaching. Shidoshi Frank displayed both martial arts and combat expertise alongside great humility and kindness.